I’m in a yoga class this semester every MWF at 8AM. Yes, I said 8AM. It’s the best decision I made. I have already begun to feel the stress fall away. My classes on Tuesday/Thursdays are more difficult so when I get to my 8AM yoga the next day I’m ready to kiss the stress goodbye. Being able to focus and meditate and think about what your goals are for the week, month, year, etc. are more helpful than you would imagine. Take one beginner yoga class if you don’t trust me. Something else I thoroughly enjoy is that my instructor discusses strength and what that may look like for each of us. Physical and mental. You as a human, have an immense amount of strength. You may have to look deep within yourself to find it, but it’s there, and with it, you can do anything. Truly, this is the ultimate de-stresser, to me personally. Having a good support system is what keeps me sane when I’m stressed or feel immense pressure on my back. Being able to let loose of this and talk with my friends or family about it helps tremendously. Holding everything in and not talking about it isn’t healthy and will eventually blow up. I feel like if I do end up blowing up because of stress it’s definitely when I haven’t released my feelings to my friends. I’ve been passionate about running for a long time. I did a lot of running in high school and have kept it up throughout college. Find your exercise that helps clear your mind. My head can be going a million miles a minute, to the point where I get headaches, but if I get out and run it’s as though it all disappears for a moment and I can breathe. I think the best thing to say for this is, if you eat crap, you will feel like crap. I know I feel a lot better physically and mentally after I eat fruit rather than Cheetos, even though I love me some Cheetos. Many people think this is silly, but to tell you the truth it works. Reassuring yourself and complimenting yourself when your feeling down makes you happier. Try it, if you don’t believe me. I do this before every test I take. Even a simple, “You’ll do great on your exam today” can give you a more positive outlook. 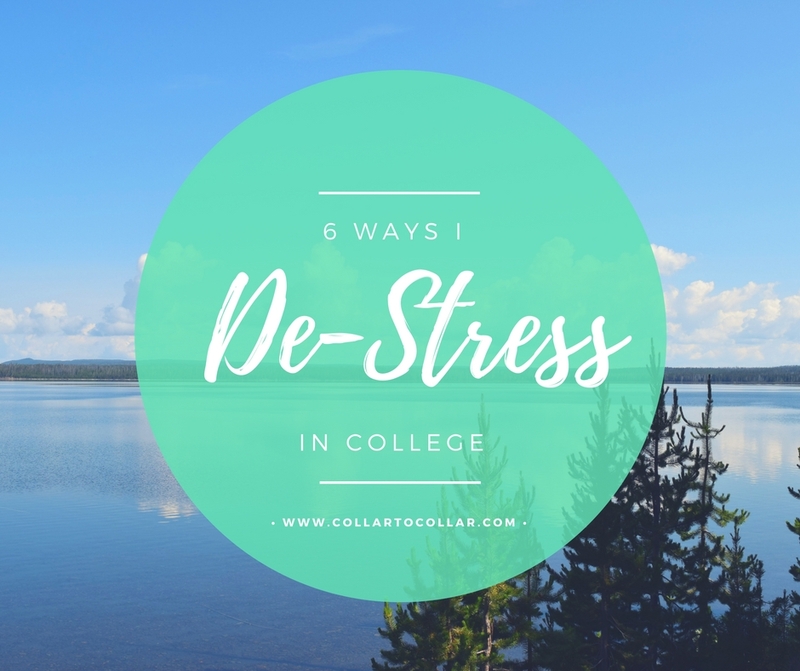 What are ways you de-stress? I would love to know!